More than 43,000 relatives, usually grandmothers, find themselves standing in for parents in Washington state. If they get help from the state, it's far less than foster parents get, and to many of these senior citizens, that doesn't seem right. Today should be a day Alesia Cannady luxuriates on Maui’s shores. The 65-year-old’s feet should dangle from a banana-hued lounge chair. The sun should smooch her ebony face. Moderate pressure should be applied during a foot massage. Instead, as the full-time caregiver of her 4-year-old granddaughter, Aleiyah, today finds her in a frenzy evading Disney figurines littered on the floor, whipping up a breakfast of peanut-butter oatmeal, and overseeing three hair and outfit changes after oats detour from spoon to heart-dotted black skirt. Time taunts the duo in a race to beat the 9 a.m. bell at Genesee Early Learning Center. It’s just another of 5,110 successive days of her golden retirement years Cannady will sacrifice for a second parenthood. Aleiyah was 6 weeks old when she came to live with her grandmother after, Cannady says, her youngest son and his partner couldn’t overcome drug addiction. Cannady is one of Washington state’s more than 43,000 “kinship caregivers,” relatives raising child kin because the minor’s biological parents are absent or unfit. Some are involved with the child-welfare system. Others go it alone as informal kinship parents. For clothing, feeding, entertaining and giving all that’s needed to raise a child two generations removed, Washington state gives those kinship caregivers who elect to receive payment, on average, less than half of what foster parents receive in financial support. Like Cannady, about 91 percent of kinship caregivers are grandparents. Similarly, nearly 90 percent choose not to become foster parents subject to the scrutiny of the state’s child-welfare system, making them “informal” caregivers. The decision means financial support maxes out at $363 a month (less for each additional child) versus their foster-parent counterparts who receive between $500 and $703 (up to $1,500 for special needs children). Four times as many children are raised in informal kinship-care arrangements than there are foster children, according to the state Department of Social and Health Services (DSHS). Yet, like nearly all states, Washington offers unequal financial support, limited service and uncertain custodial standing. This, despite kinship caregivers increasingly being the first point of refuge for children affected by the opioid crisis and saving states money — an estimated $4 billion nationwide, according to Generations United, a Washington, D.C.-based nonprofit that focuses on intergenerational issues. Now Aleiyah’s official guardian, Cannady no longer qualifies for the kinship-care money, but it barely matters to her. That’s the million-dollar question, or more accurately, billion-dollar for Washington and states across the country. Do you provide more support to the largest group of nonparental child-care providers in the nation even if they operate in the dark? 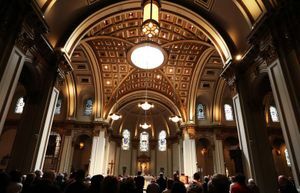 Once a skeptic, state Sen. Maureen Walsh counts herself a born-again kinship champion. The Walla Walla Republican, whose views often run afoul of party colleagues, once believed it “odd that families wouldn’t care for family” without supplemental financial support. The prospect of spending taxpayer money with minimal restrictions didn’t sit quite right with her just a decade ago. 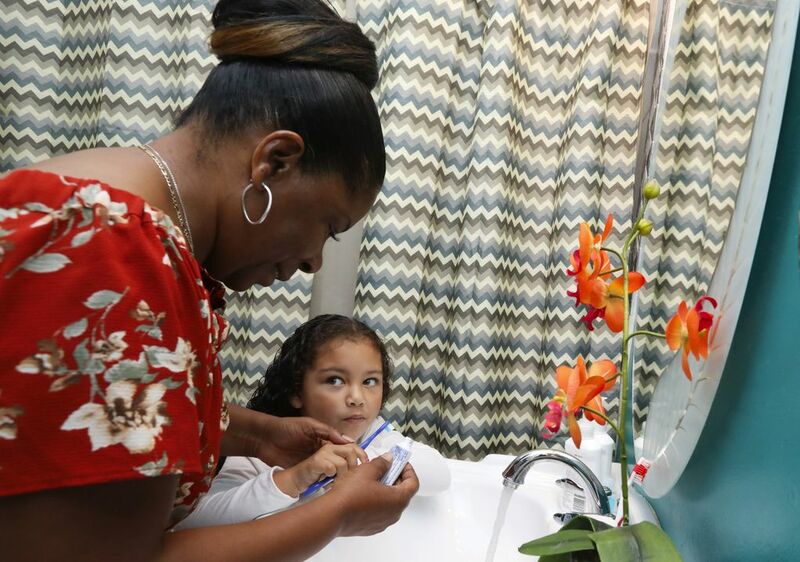 Her doubt eroded after years of testimony from cash-strapped grandparents raising children who needed braces, winter coats and therapy — most on a fixed income. “There’s this thinking that, damn it, they need to take care of their own family,” Walsh says about the consensus in Olympia she credits for the kinship and foster-care payment gap. While neither amount is adequate — raising a child costs $14,000 a year, according to the U.S. Department of Agriculture — the $4,356 for informal kinship caregivers forces many to dip into savings. “I don’t nearly have anything left in my retirement,” says Cannady, who lives on early Social Security payments. Initiating them before 66, primarily because of Aleiyah, has meant smaller checks. The discrepancy has plagued kinship caregivers across the country since they first became eligible for cash assistance in 1996 as part of the federal government’s Temporary Assistance for Needy Families (TANF) child-only grant. States could parcel out federal funds to poor adults with children provided they met local eligibility standards. Washington had some of the strictest in the nation. Until 2017, it was one of only four states that means-tested kinship caregivers’ income, meaning some could not qualify for cash assistance if their Social Security payments put them even $20 above the threshold. It was a concession to lawmakers dubious of handing over public money with limited oversight, according to state Rep. Eric Pettigrew, an 18-year kinship advocate. Unlike foster care, no caseworker is assigned to informal kinship families, meaning no periodic check-in from the Department of Children, Youth and Families (DCYF), which recently assumed oversight of the state’s child-welfare system. “Our Legislature is all about compromise. To get two steps forward you take one step back,” says Pettigrew, who partnered with Walsh to finally undo the means test last year. The two hope to eventually put forward a payment “equalizer” bill. 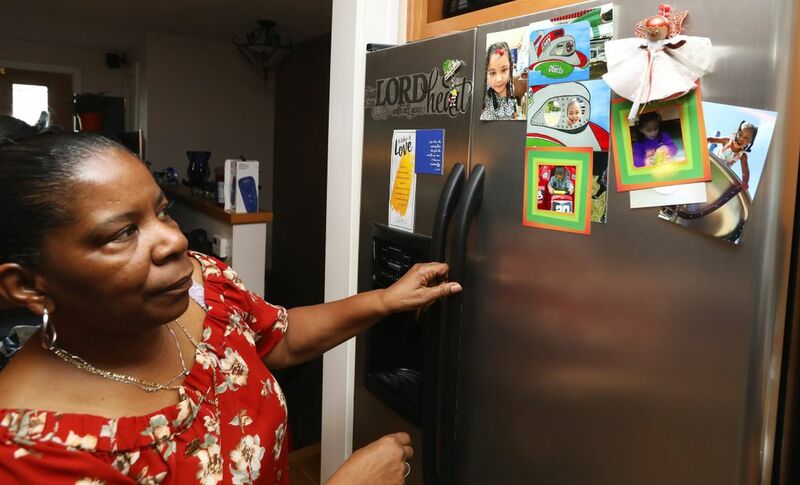 Even with the means test scrapped, the smaller payments made to kinship-care parents irk people like Helen Sawyer, 79, who facilitates a kinship-care support group in Skyway. “We’re raising these kids on our own and need more help,” says Sawyer, who reared three grandchildren and throws car washes to raise money for struggling caregivers. Because most caregivers reject DCYF oversight and payments, kinship kids largely don’t contribute to the $527,402,898 the state spent on all child-welfare services as recently as 2014. In contrast, Washington spends about $31 million a year on programs and financial support for kinship caregivers. A conservative estimate has put the taxpayer cost for parity for kinship caregivers at more than $300 million annually. With the Legislature ordered by the courts to fully fund education, assisting grandmothers isn’t top priority for most lawmakers. It should be, at least if a state’s primary concern is a child’s well-being and not demolishing its foster system, says Suzanne Sutphin, of the College of Social Work at the University of South Carolina. “If all of those children came into the foster-care system there would not be nearly enough homes,” says Sutphin, who has studied the needs of kinship caregivers. Nearly 2,200 kids in the Washington state foster-care system can’t find permanent placements. A shortage of foster parents and a lack of available, stable housing have led the state to put more foster kids in hotels — 1,000 children in King County and counties to the north for more than 1,000 nights between September 2017 and August 2018. Adding tens of thousands of children would effectively be lobbing dynamite on an already combustible system, says Sutphin. Also, the current estimate of children in informal kinship care is likely an undercount since many relatives don’t offer up that information as part of their identity. The total number in the state is probably closer to the U.S. Census count of 90,088 grandparent-headed households with children under 18. Besides buffering the state from a foster-care system implosion, Sutphin points to research suggesting children who have unfit parents thrive better mentally and emotionally when paired with relatives rather than strangers. So why not more financial support? It’s enough to enrage even the most loving grandmothers. Mostly, they want a little respect. Some respite care, more services and a glass of pinot noir wouldn’t hurt either. Seated inside the commons room of Third Place Books in Lake Forest Park, this group of women in their 60s and 70s at least have each other. They relay daily struggles of a 65-year-old body forced to summon a 30-year-old’s energy. “You can only go so long without actually being 40,” says Stacey Auger, 62, raising two boys, 11 and 12. Founded four years ago by community organizer Josee Perez, the United We Care kinship support group is one of nine in King County. It is a safe forum to unload feelings about social divorces from friends who, it turned out, weren’t keen on small children. 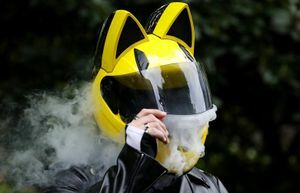 Some group members had to re-enter the work force after decades away, terminate romantic relationships after choosing to raise grandkids, and survive mass gawking by twentysomethings while dropping children at soccer practice. Reasons for stepping in to raise their children’s children vary. Many of their adult kids battled mental-health challenges and drug addictions, and had been involved in prostitution. But drug problems are at the top of the list of grievances of more than 2.7 million caregivers, estimated by Generations United. The opioid crisis has seen the number of grandparents raising grandchildren jump 8 percent since 2009. Where are the adequate resources? “We should get all kinship caregivers together to create a caravan to Olympia and dump all the children on the Capitol lawn,” says Teresa Hielle, raising her 13-year-old grandson, on the need for legislators to agree on additional financial support and services for kinship parents. The current situation can’t continue, not least of all because many kinship grandparents are saddled with stress and anxiety, says LaShawnDa Pittman, assistant professor of American Ethnic Studies at the University of Washington. “There is a huge emotional toll and stigmatization facing kinship caregivers,” says Pittman, who has researched the mental-health impact on grandparents of raising children with limited resources. Not only do kinship grandmothers often report social isolation and guilt over their grown-up child’s condition, but a social “pathology that romanticizes” their plight, asserts Pittman. She says the narrative that “grandmothers are naturally adept at caretaking” diminishes advocacy for them. Research by Sutphin revealed that in addition to money, many kinship-care givers expressed needs for mental-health care, respite services and help navigating the social-services bureaucracy. The call for attention has seen breakthroughs. Nationally, The Family First Prevention Services Act, signed into law this year, expanded funding for the Kinship Care Navigator program. Serving 30 of the state’s 39 counties, the program is a one-stop resource finder that walks uninitiated caregivers through obtaining respite vouchers, help with bills and food-stamp applications. It also helps people see their way through the hard choices. Wash their hands completely and release the child to the foster-care system. Take physical, but not legal, custody of the grandchild with the threat of a potentially damaged biological parent returning to claim the child at any time. Adopt the grandchild and receive no additional financial help or resources from the state. Caregivers who are involved with DCYF are eligible for kinship support funds — a mostly one-time payment for rent, utilities and bedding, as well as a one-time clothing allowance of up to $200. Some transportation costs also may be reimbursed. One state, Kentucky, has made attempts at equity. And only after a federal court order. The current status of its kinship-care assistance program: Broke. Alesia Cannady couldn’t help but marvel at her day-old granddaughter. Pressing her face against the glass window at the newborn nursery at Good Samaritan Hospital in Puyallup, Cannady had only one choice. Per national law, Child Protective Services, she said, alerted her that drugs had been found in Aleiyah’s mother’s system upon delivery. 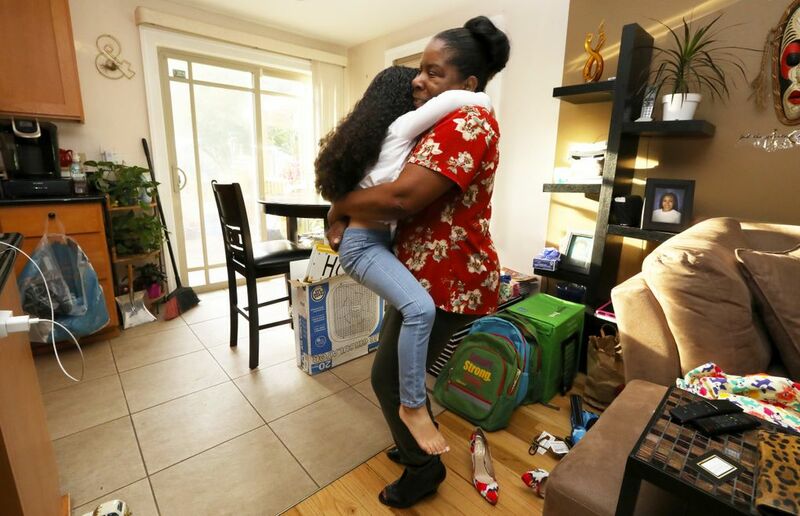 Six weeks later, Aleiyah moved into Alesia’s Skyway home. It’s the only one the 4-year-old has ever known. Known as “nanna, mommy and mama,” Alesia became Aleiyah’s official guardian two years ago. The measure solidified her legal rights for doctor visits and school enrollment. Most kinship caregivers have physical but not custodial custody, meaning a biological parent can reclaim the child at any time. Alesia decided against the foster-care system, and the extra cash assistance, because she was wary of the state’s intrusion. “I’ve witnessed too many times how the state comes in and unnecessarily takes children away when a grandmother gets involved with the foster-care system,” says Alesia, referencing the disproportionate rate of black children removed from homes. 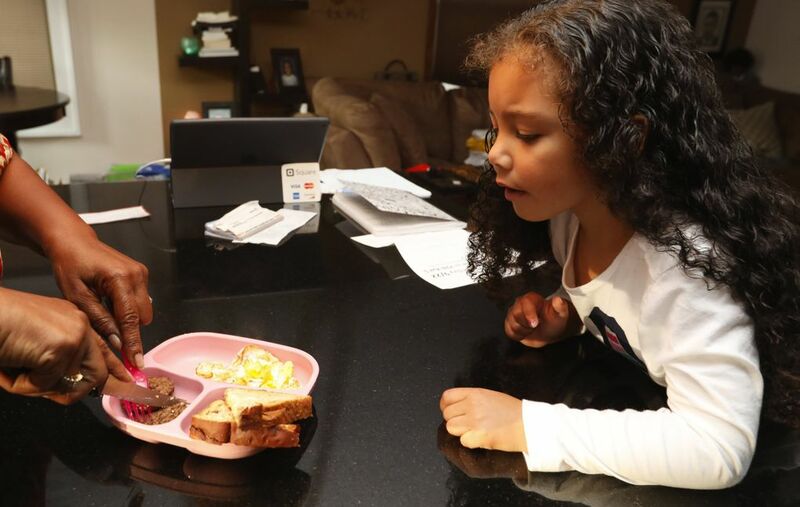 In foster care, Washington’s child-welfare system would hold legal custody of Aleiyah, with Alesia’s rights subject to termination at any time. 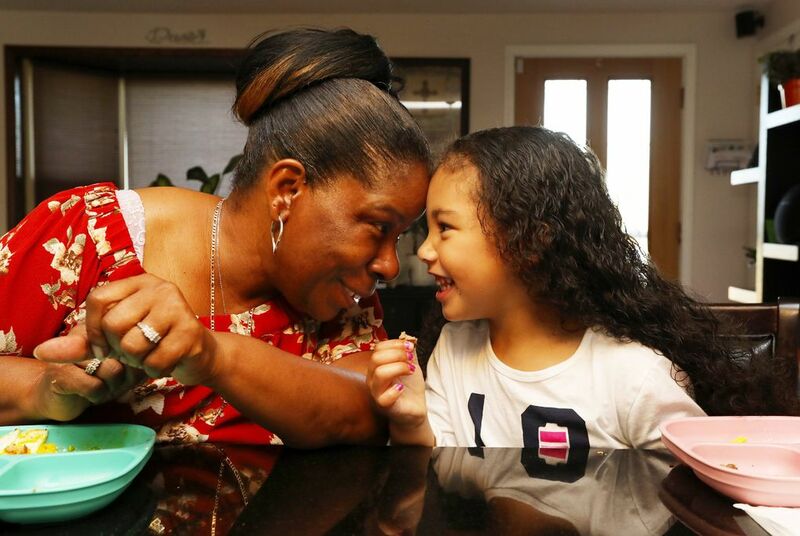 This grandmother would rather deplete her savings, start business ventures like her handmade pajamas, and be joined at the hip with Aleiyah every day. The only time that’s hers is late at night after Aleiyah’s gone to sleep. That’s when she draws herself a lavender bubble bath. Aleiyah sleeps while Alesia dreams. Her phone’s speakers soon overflow with Boney James’ saxophone. The melody is accompanied by a mellow drum beat and R&B crooner Jaheim’s velvety voice. “Baby, let’s ride. Let’s cruise,” it pleads. Alesia’s imagination obliges for the next 4 minutes and 27 seconds. She closes her eyes and drifts to Maui’s shores. Her mind is free of “tickle-time” morning wake-ups, arguments over toys that can’t enter school, questions about a father whose whereabouts are unknown, and discipline meted out for throwing foam blocks at an annoying classmate. Those struggles will resume tomorrow. Marcus Harrison Green: 206-464-3291 or mgreen@seattletimes.com; on Twitter: @mhgreen3000.